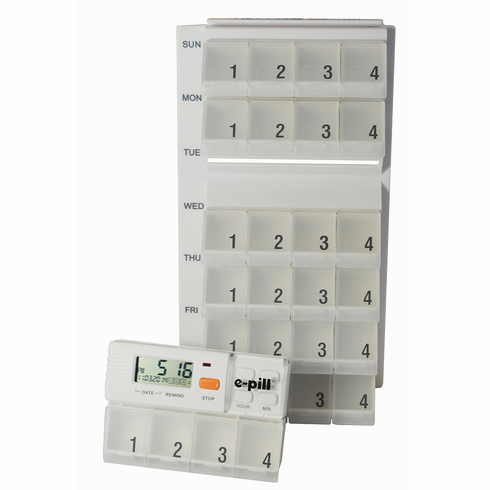 Set Up to 4 Daily Alarms to Alert when Medication is Due. How-It-Works: When the alarm goes off, the device will beep and a message will flash on the screen telling you which pillbox to take. Simply press the orange stop button to shut off the alarm. The alarm will automatically reset and go off at the same time tomorrow. No reset is required.